1. Black King is safe. 2. White king has not yet been castled. 3. Black's e4 pawn is not sufficiently defended. 4. 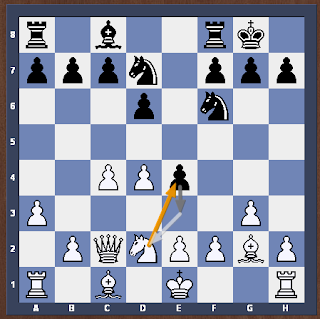 White's d4 pawn is undefended. 5. f4-square is weak and White may try to exploit it. 5. The game is in the transit mode of middle game. 5. Black will try to defend its e4 pawn or advance it to e3. What should be the Black's strategy? (2) 16 b3 Ne4 17 Bd2 avoiding simplification with chances to develop a serious initiative. 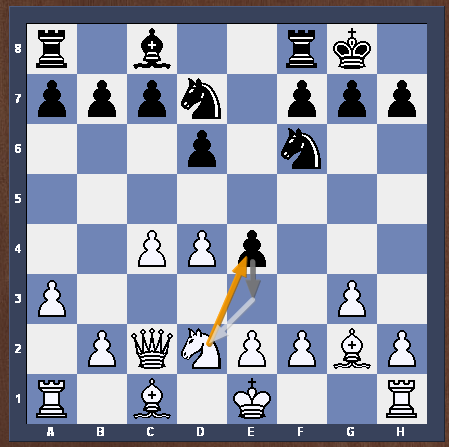 (3) 18 Bxf6 gxf6 19 b3 c6 20 Rxf6 Be6 21 Rf2 Re3 22 Rf3 ( Jonathan determinedly chases Black's most active piece in a bid to liquidate to pure structural advantage.